This article is posted in collaboration with Adventure Classic Gaming, an online magazine of reviews, previews, interviews, articles, and walkthroughs relating to adventure games and interactive fiction. 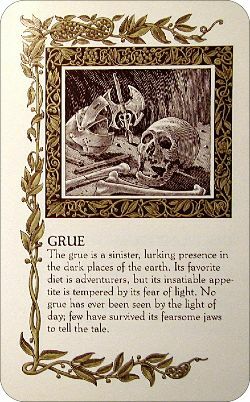 A page from "The Lore and Legends of Quendor" (a booklet included with Beyond Zork ) describes the monstrous grue. You are in a maze of twisty passages, all alike. What do you do? It has been over thirty years since those words were first displayed on a teleprompter screen, signaling the boom of interactive fiction or IF games. The purpose? To wander in a pseudo-fantasy environment, exploring the world around you and trying not to get killed. The world was displayed as text, giving a brief description and then prompting some text commands in return. The game? ADVENT —short for Adventure or Colossal Cave Adventure . From there, interactive fiction exploded in the 1980s, overcoming the graphical limitations of the first computers by rendering a complex virtual world in second-person text. When graphics became more and more dominant, text adventure games slowly faded away in the eyes of the gaming public. Yet, underground they were surging. New games were being made constantly, always expanding the genre's staples and rules. Cheap and easy ways of making your own text adventure game spawned an interactive fiction revolution that has continued to this day, pushing boundaries and thriving on the outskirts of mainstream gaming. With classic or retro gaming hitting a new peak, the superstars of the interactive fiction underground are gaining more and more exposure, and a boom is happening all across the board in popularity and experimentation. Interactive fiction games have come a long way from the scenario of stumbling around in the dark caves of Zork and worrying about being eaten by a grue. Programmers and writers work constantly on pushing the artificial intelligence (AI) of the non-player characters (NPCs) as well as the realism of the virtual world and complexity of the text. They use postmodern techniques to question the nature of the games in a metatextual way, similar to the way Jorge Luis Borges once explored fantasy fiction. For example, Stuart Moulthrop's Forking Paths is based on Borges's "The Garden of Forking Paths" and uses the same techniques as Borges to create limitless possibilities. Even the text itself becomes a labyrinth and includes a lot of playful jabs at how interactive fiction works and the way the reader communicates with the game engine. Among the superstars of the current underground is Emily Short, whose games Galatea and Floatpoint explore the ethical quandaries from which most video games shy away. Moreover, these games give the player realistic NPCs with whom to interact. In Galatea , you speak to only one character and stay in only one room. It is, however, the AI of the NPC that makes this game so complex, moving, and intriguing. The NPC even has a memory, keeping track of emotional states and changing its responses based on conversations you have had before. In Floatpoint , you play as a character on Earth's last colony who must decide the proper course of diplomatic actions. Unlike Galatea , this game has puzzles typical of classic adventure games alongside its complex and moving plot. It is less abstract than Galatea but is experimental and groundbreaking in the realism of the environment and in the ethical quandaries the game presents. My more experiential work uses interaction to get people to engage with fiction in a new way: to tell a story where a moral choice falls to the readers rather than to the author, say, or to allow readers to forge their own relationships with a character. There the fun part is more like the fun part of writing conventional fiction. Another IF superstar is Adam Cadre, with his anti-adventure Phototopia —a game that heavily emphasizes narration. Indeed, Phototopia is perhaps the first game to seriously develop the concept of interactive storytelling. In it, you move through rings of time in a purely anachronic way, going through past, present, and future in different intervals, traveling into space and into the present day, each interval overlapping and creating a large theme that builds throughout the entire game. One of the things that's been throwing me off about this question is that I keep lurching between talking about puzzle-IF vs. story-IF on the one hand, and 'low' IF vs. 'high' IF on the other. I think it's the word 'literature' that's the culprit. We generally hear it used to denote high-quality fiction (or at least high-quality narrative); in the IF world, however, it often signifies nothing more than that the narrative is the most important aspect of a piece, or even simply that it *has* a story. Another breakout game is the steampunk adventure Slouching Towards Bedlam , created by Daniel Ravipinto and Star Foster. Here, you play as the doctor of an asylum in a world where a virus is spreading by language. This Burroughs-esque plot device creates a tension that most interactive fiction games lack. There is a form of narrative fear in the very words that parade across the screen. There are puzzles in this game as well. However, they serve as part of a larger mystery, with clues being dropped in the form of cryptic messages from the virus, speaking through those who are infected. The virus itself becomes a character, with its own AI and personality. The atmospheric prose gives the game a very New-Weird vibe, and the game's world mirrors works by both Jeff Vandermeer and china Miéville. The first thing I remember about Slouching's creation is standing in Star's apartment and saying 'I want to do something steampunk and I want to set it in London.' I'd just taken a trip to London the previous year and had gone on some historical tours that really fascinated me. One was a Jack the Ripper tour where I learned about the association of the Smooth Field (now Smithfield) with death—so I guess the whole thing had a dark tinge from the very beginning. I also had the word 'cypherists' somewhere in the back of my head, though we both didn't really know what it meant then. Moreover, superstars pushing the boundaries are only the start of this bubbling underground empire. There are now interactive fiction contests for almost anything you can imagine (including games with only one character and games that take place in only one room), as well as the two yearly competitions—the XYZZY Awards and the Interactive Fiction Competition. Anyone can join these competitions and the games that take top honors usually become instant classics in the interactive fiction community. There are websites and blogs dedicated to interactive fiction games and the people who make them; e-zines, newsgroups, and wikis to discuss and interact with writers; databases to search for games, all rated and categorized by genre. You can play some games online, using interpreters based on Flash or Java. You can play them on your mobile device, on your cellphone, even on a console system. You can download versions that run on just about anything, anywhere. A hot trend in the online interactive fiction games is the use of feelies. Feelies are small artifacts in the real world that are connected to the game you are playing. These little bonuses can be anything from a newspaper clipping with a fictitious ad, to a teddy bear seen in the game, to a postcard or letter from a character. Bridging the gap between reality and fiction is fundamental to the interactive fiction genre, so feelies really add an extra level of immersion for a player. So how did all of this come to be? How did this almost dead format turn into a thriving, underground culture trying to break into the real world? It all started with a compiler and an interpreter, and it exploded from there. 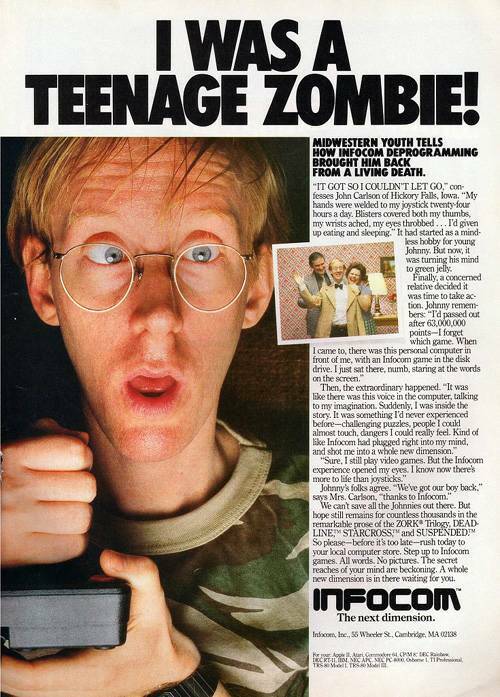 Founded in 1979, Infocom was a game development company that created the classical Zork franchise and moved onto making many other interactive fiction games. 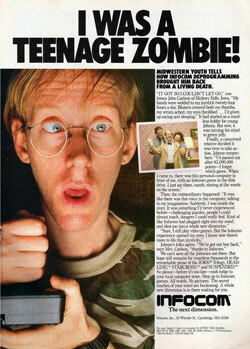 To ensure that its games would be played the same way on all computer systems, Infocom created a code interpreter and a compiler. The interpreter, predating Java by some 20 years, was like a virtual machine that ran the code the compiler outputted. This was known as the Z-code interpreter. In 1986, a programmer group called InfoTaskForce set out to reverse engineer the Z-code interpreter, allowing Z-code games to run on modern computers. In 1993, Graham Nelson created a compiler called Inform, which enabled users to write games that could also be run on the Z-code interpreter. Enabling anyone to write a text adventure was the start of the boom. 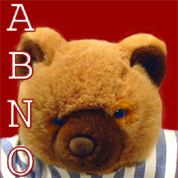 Until this point, it was a retro-style activity, full of nostalgia but without any progress. After the arrival of Inform and many similar tools (including Hugo, which allows users to add videos, still images, and sound to their games), the underground exploded with authors making their own games and exploring the meaning of interactive fiction. A community of designers quickly grew up and the games they created took on a life of their own. Compilers proliferated—some complex, some simple—and with them came the ability to play these games online, to play them through a web browser, to play them with sound and graphics. Grue is a monster in the cave. Inform 7 would then create the code for the cave and the monster, enabling you to write games in a natural, easy way. This would allow you to create more complicated and realistic worlds in less time and with less code. Inform 7 leveled the playing field and allowed a writer's creativity to be truly tapped. At some point, though, I started to realize that this natural language business had deeper implications than I had previously appreciated, to do with making the parser and the world model and the output all work together properly, and that it was adding power to the system, as well as readability; which is the point at which I became really committed to working on the project through to the end. Natural language programming is not the only advantage of Inform 7. It takes cues from computer programming languages such as Visual Basic and creates a visual way of approaching the code. It creates maps for your world, giving you a full range of debugging tools and cataloging all the items and characters in your game for you. All of these improvements drastically cut down the time it takes to create a game. As barriers to game design have fallen, the world of interactive fiction has expanded rapidly. Anyone can write a game with little effort and anyone can download and play it online within seconds. Communities have been set up to help developers and to introduce them to these game-making tools. Online tutorials let writers get their feet wet with simple game concepts and commands. Inform 7 includes a manual of more than 1,000 pages, detailing everything that needs to be known about the system. Libraries are available for download to add cool effects to the game without additional programming effort—lighters, vehicles, conversation engines, and other nifty little tools to make it all easier. There are even online code generators to do some of the heavy lifting for simple code processes such as creating a room. Inform is not the only system in use to create interactive fiction games. There are many other interactive fiction game development tools that push the envelope in their own ways. Hugo is more flexible for creating multimedia games. TADS is a powerful object-oriented language with a visual design environment. TADS is almost as simple to use as Inform 7. In fact, the medium's boundaries get pushed with each new game. Interactive fiction is constantly evolving, further and further away from the simplistic adventure game concept of its roots. With geek rappers like MC Frontalot weaving Zork into his song "It's Pitch Dark" (about being eaten by a grue), the explosion of interactive fiction is going to keep on breaking the fourth wall between our world and the fictional worlds we create.